Successfully Added Vcare Smart Home Security System - Android + iOS App, PIR Sensor, Door / Window Sensor, Remote Control, Medial Alarm to your Shopping Cart. Vcare smart home security system combines home security, emergency alarms, and elderly care by pushing notification via Wi-Fi or GSM to your Smartphone via the iOS or Android app. The Vcare A package comes with an alarm panel, PIR detector, door / window sensor two remote controllers and a medical button. Each of the sensor comes with a QR code that you just scan to add to the network so it’s easy to keep expanding the alarm coverage throughout your home or work place. This alarm panel controller is able to support a total of 99 sensors, including fire alarms, water leakage detectors, smoke detectors, emergency zones, medial SOS emergencies buttons, door and window sensors as well as PIR motion detectors for a comprehensive system to alert you to any situation in your home. 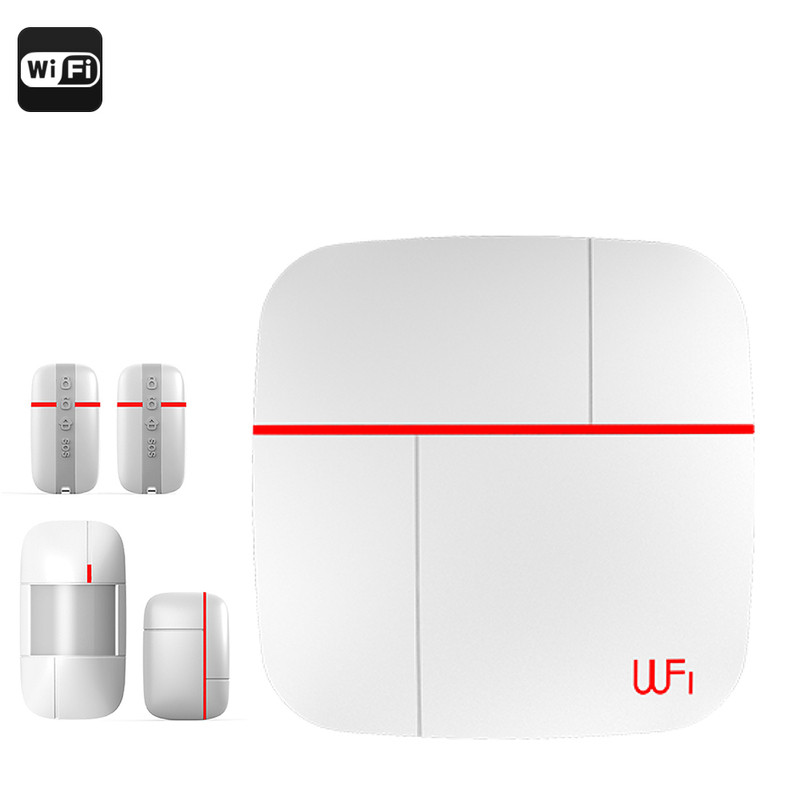 The Wi-Fi and GSM alarm panel will detect if any of the sensors are trigged, so if an intruder trips the door and window alarm or the PIR sensor is tripped you will be notified. A family member can keep the medical alarm with them and in case of emergency, so if they have a fall or need urgent assistance the can simply press the button to alert family members ensuring that should the worse happen you can come to their aid. With a built in mic and speaker you can even communicate remotely to reassure them that help is on the way. Keeping your family and home safe from all eventualities the Vcare smart home security system brings you peace of mind and acts as a guardian angel over the ones you love. This Vcare Smart home security and safety system comes with a 12 months warranty, brought to you by the leader in electronic devices as well as wholesale security gadgets..